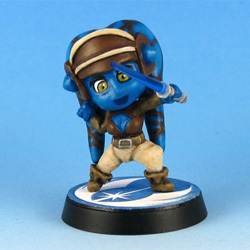 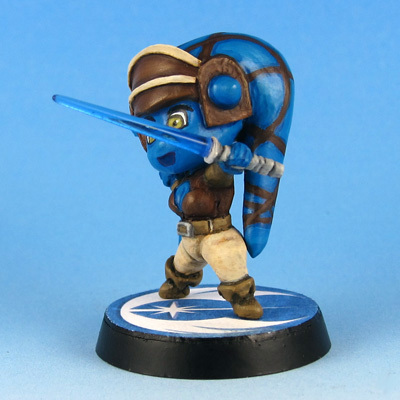 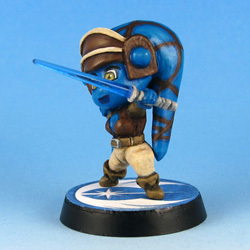 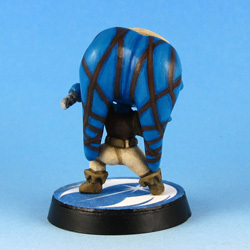 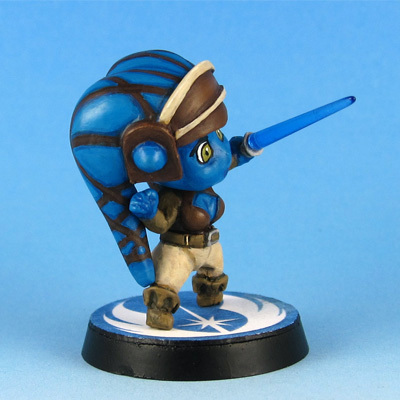 Another one of Velvet Marks awesome chibi minis, Star Wars’s Aayla Secura. 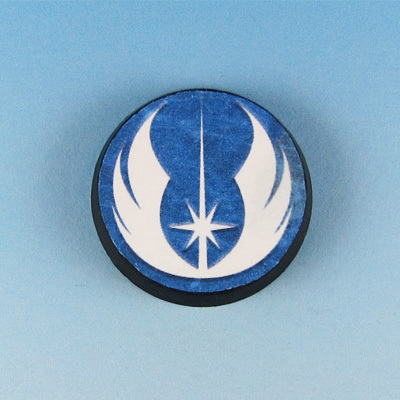 She stands on a custom printed base, showing the symbol of the jedi order. 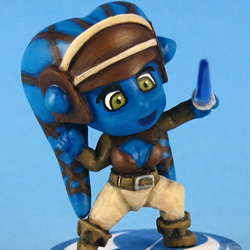 I replaced her light saber with the translucent tip of a piercing stretcher. Aayla Secura was sculped by Velvet Mark.